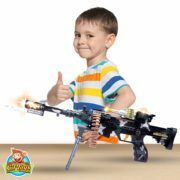 – ENDLESS FUN AND POSSIBILITIES: The rapid fire machine gun will give your kid endless hours of fun and games. The realistic rifle gun is perfect for all kinds of roleplay, such as war, army, spy, assassin and more, that your child will love. Use the toy gun for gangster and commando Halloween costumes. 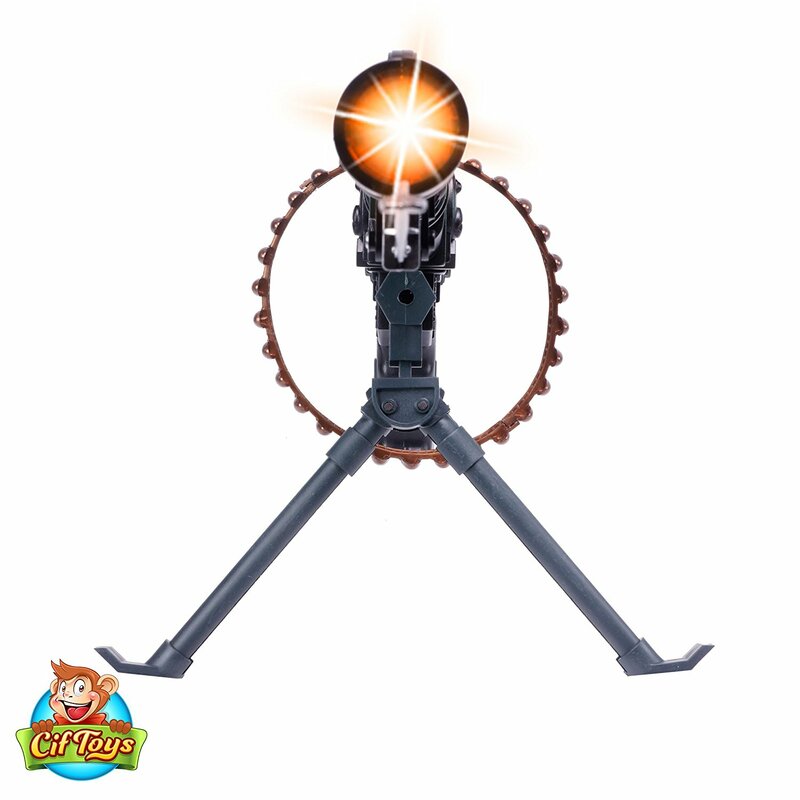 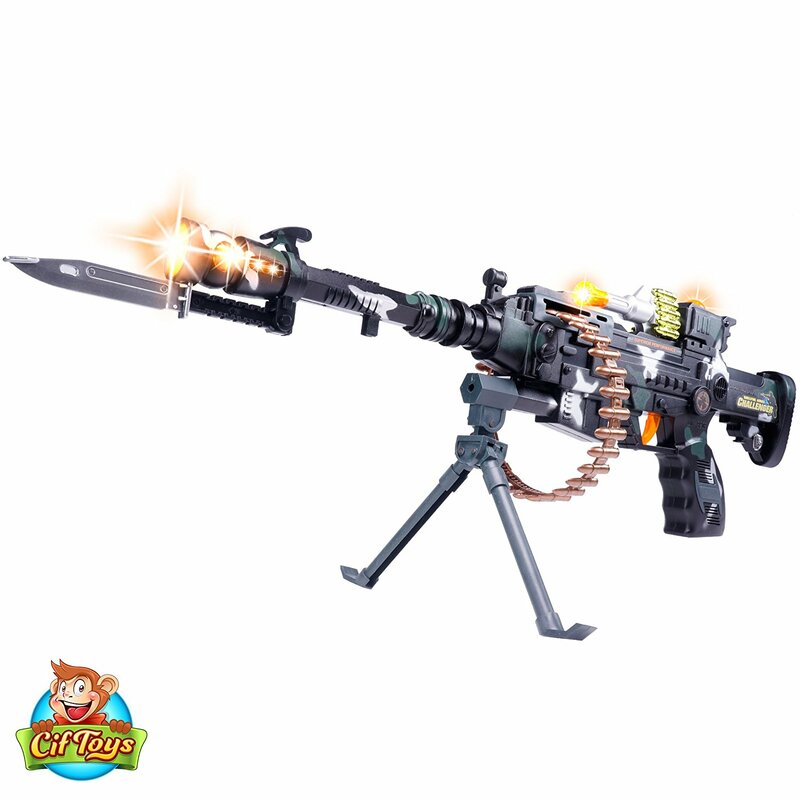 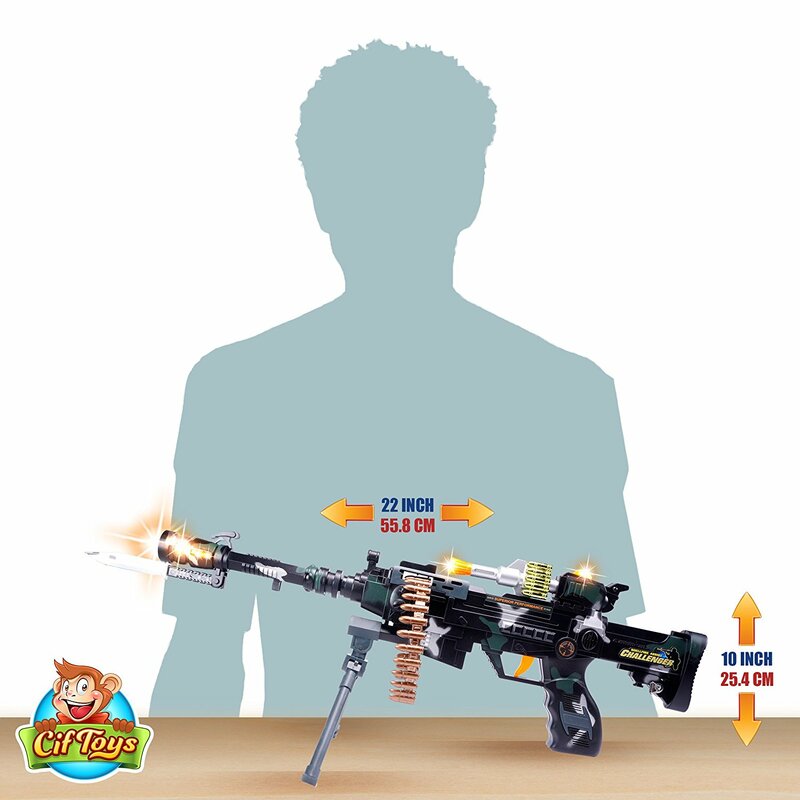 – REALISTIC FEELING: The 22’’ rapid fire machine gun has a realistic design and special effects for more fun and perfect games. 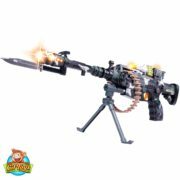 The machine gun makes realistic shooting sounds and has lights flashing up for a more dramatic effect. Your kid will love playing war with this rifle replica. 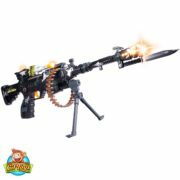 – PREMIUM QUALITY TOY: The CifToys rapid fire machine gun is made with care and high quality materials. 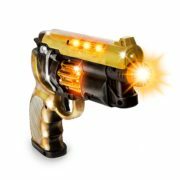 The shooting sound is clear and realistic and the lights bright and fun. 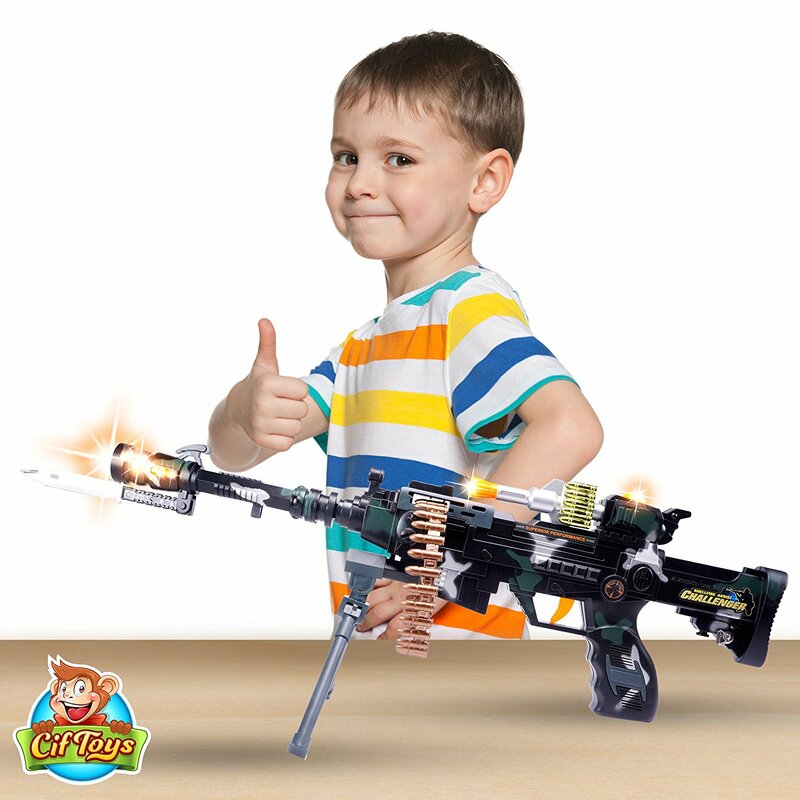 The toy gun is very durable for many hours of fun. 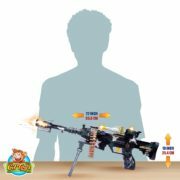 – PERFECT GIFT IDEA: The rapid fire machine gun is the perfect choice for a gift for any child that likes adventurous games and playing soldier. 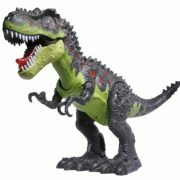 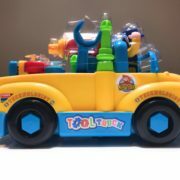 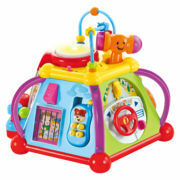 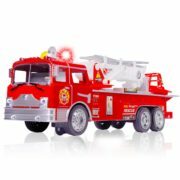 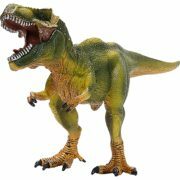 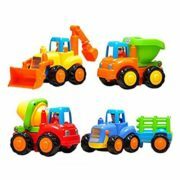 Get this for your child, nephew or godson and be sure they will love it. ORDER WITH CONFIDENCE: Ordering the machine gun toy is a risk free purchase. 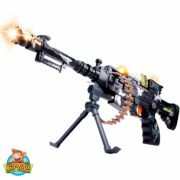 We are certain that your child will love the rapid fire machine gun and this is why we offer you a full refund, in case you are not fully satisfied with the toy gun. 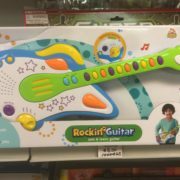 3 AA BATTERIES ARE REQUIRED, NOT INCLUDED.